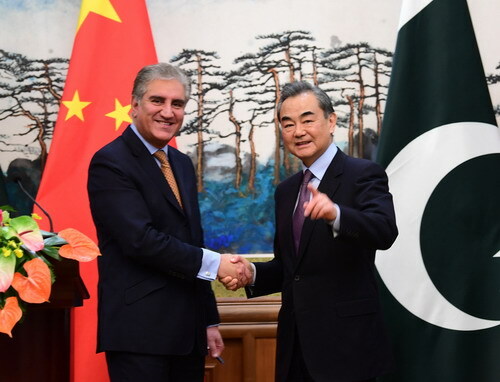 On March 19, 2019, after co-chairing the first China-Pakistan Foreign Ministers' Strategic Dialogue in Beijing with Foreign Minister Shah Mahmood Qureshi of Pakistan, State Councilor and Foreign Minister Wang Yi told Chinese and foreign journalists that the China-Pakistan Economic Corridor (CPEC) is a landmark project of China-Pakistan cooperation in the new era, and also an important pioneering project of the Belt and Road Initiative. Since the construction of the CPEC over five years ago, it has made crucial and positive progress. As early harvests, 22 projects have substantially improved transportation infrastructure and electric power supply in Pakistan and created over tens of thousands of job opportunities in Pakistan. They are playing an increasingly important role in the economic and social development and people's wellbeing in Pakistan. When promoting the construction of the CPEC, the Chinese side has always been following the principle of extensive consultation, joint contribution and shared benefits and regarding the interests of the people of Pakistan as the top priority. First, the CPEC faces the whole country, rather than being confined to some specific regions. The projects of the CPEC are, in fact, scattered in various regions in Pakistan. For example, Gwadar Port is in Balochistan Province; Thar Coalfield is in Sindh Province; and some transportation projects are in Khyber-Pakhtunkhwa Province. According to the prospects and planning of the CPEC agreed by both sides, the CPEC projects will be expanded to a more extensive range in the future, including western regions, to benefit a wider range of people. Second, it is a common practice of the international community to implement major projects through international financing. It is also an effective way for developing countries to break financing bottlenecks and accelerate economic growth. At present, half of the foreign debts held by the Pakistani side come from multilateral financial institutions. While as for the current projects of the CPEC, the Chinese side has directly invested in or provided free grants for over 80 percent of the total, leaving less than 20 percent of the total financed by Chinese loans. Therefore, the projects of the CPEC do not increase the burden of the Pakistani side, on the contrary, it provides help for and injects vitality into the economy of Pakistan. Third, the concept of opening and win-win results is always upheld in the CPEC. With the unleashing of the positive effects of the CPEC, a growing number of countries are optimistic about the development prospects of Pakistan and wish to participate in the construction of the CPEC. 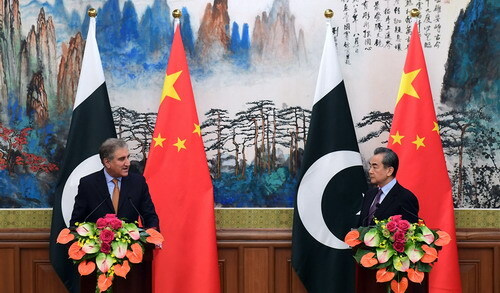 The Chinese side welcomes these cooperation intentions as long as they are conducive to the development of Pakistan. Of course, these should be consulted by both China and Pakistan. With the gradual conducting of third-party cooperation, the CPEC will play the role of the "engine" for regional economic growth and the "propeller" of regional integration. Fourth, the CPEC focuses on the interests of the people, and regards benefiting the people as the top priority in particular. So far, the established energy projects have met the demand for power of about 8.6 million families. Primary schools and China-Pakistan medical care center in the vicinity of Gwadar have improved local education and medical conditions. The first training program of Thar Coalmine has trained 30 women as truck drivers, which has become touching stories in the region. Both sides have agreed that in the next phase, the construction of the CPEC will be weighted toward livelihood. Both countries have set up working groups of social livelihood for this regard. It is believed that more and more livelihood projects will benefit the people of Pakistan, which will tell more touching stories that are little and beautiful. Wang Yi stressed that the CPEC has traveled a journey of five years and entered a new stage of improvement and upgrading. It is believed that under the joint efforts of both sides, the planning and construction of the CPEC will be continuously improved and become a more beautiful business card for China-Pakistan cooperation.